Water damage due to a storm, a burst pipe or seasonal flooding can have a catastrophic impact on your business. 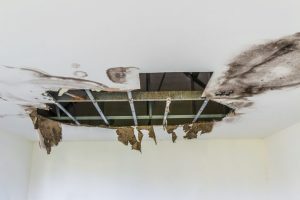 While the problem may not seem severe at first, failing to properly restore your building to pre-incident condition can lead to mold growth and structural damage to your floors, walls and ceiling. Tuckey Restoration, Inc. specializes in commercial water damage restoration in Harrisburg and throughout the central PA area. We have a team of experts on hand to respond to emergencies as soon as they happen, so you can minimize downtime and get back to work as quickly as possible. Class 1 water damage affects only one part of a room and involves minimal moisture absorption. Typically, carpeting is unaffected and remediation efforts are straightforward. Class 2 water damage involves larger amounts of water, damage to carpeting and moisture remaining in structural materials. Repairing damage of this extent may require replacing or repairing concrete, particleboard or plywood components. Class 3 is the most severe class of water damage. Class 3 involves water wicking over 24″ high, complete saturation of a room or area, and damage to ceilings, walls or subfloors. Remediating Class 3 damage is an involved process that requires replacing multiple structural components. Class 4 is a special class that involves materials with low porosity, such as hardwood and stone. In these cases, while there may not be extensive damage, there are pockets of deep saturation that must be repaired. Tuckey is able to provide commercial water damage restoration to Harrisburg-area businesses suffering from any class of damage. As a member of recognized industry organizations including Disaster Kleen-up International and the Restoration Industry Association, we take steps to properly assess what repairs are needed and develop a complete remediation plan that brings your facility back to the exact condition it was in before the incident occurred. Flooding creates the perfect conditions for mold to develop. As a result, mold remediation considerations should be made a key part of any water damage recovery plan. Tuckey Restoration is one of the central PA area’s most accomplished mold damage specialists. Our team includes certified mold remediation specialists who have undergone extensive training and know the best practices for removing mold and keeping it away. If left untreated, mold not only can affect the structural integrity of your property, it can also cause a number of health problems for your staff, including allergies and asthma attacks. Tuckey Restoration is a preferred vendor for many insurance companies. Even if we don’t already have a relationship with your insurer, we can assist with the claim process and take care of any billing or paperwork required. 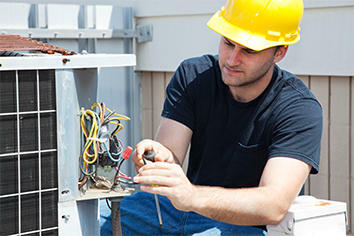 This means fewer delays in beginning work and less hassle for you during this difficult time. If you’ve suffered flooding in your storefront, office building, manufacturing plant or other commercial property, the water damage restoration experts at Carlisle’s Tuckey Restoration can help. Contact our head office for immediate assistance anywhere in the central PA area. To contact a Carlisle, York, Chambersburg or Harrisburg commercial water damage restoration professional by phone, call (717) 249-7052 service inquiry, simply submit the convenient contact form and we’ll get back to you!